NFL draft expectations are high for current college senior Montez Sweat. Born in 1996 as Shaquan Montez Sweat, this player impressed as a star tight end on his high school team in Stone Mountain, Georgia. He was awarded a scholarship to Michigan State in order to play with the Spartans in 2014 and has since enrolled in a Mississippi Community College to finish out his educational career. Besides being a successful defensive end for the Spartans, he also played in the 2015 Cotton Bowl, and the 2017 TaxSlayer Bowl, putting on a remarkable performance in each. During his two years at college, Sweat won All-SEC honors for his record-tying sacks at 10., going on to receive All-American attention for repeating the outstanding performance. Montez Sweat’s ability as a defensive end is remarkable not only for his number of sacks, but also his incredible speed. He broke the NFL Combine record by running a 4.4 second 40-yard dash in 2019, and his long stride is seen as a distinct advantage in both covering yards and outpacing shorter opponents. 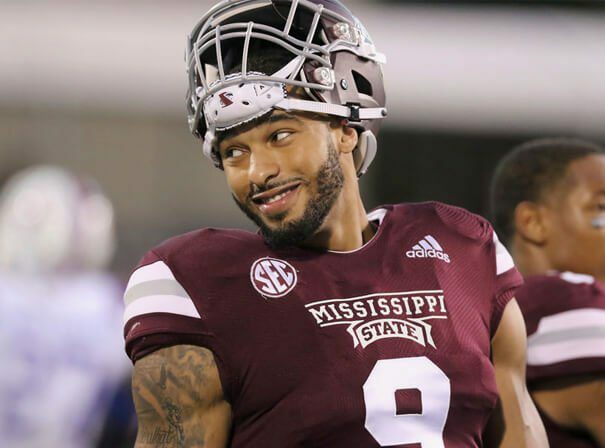 His evident skills have sports analysts dropping his name in their discussions surrounding the 2019 draft: they expect Montez Sweat to be a round one pick chosen early on in the decision process. Wherever this powerful young football player ends up, he is sure to find success and acclaim in a professional team as a fast and effective defensive end.